Cable’s familiarity with a broad range of repertoire has kept him in demand as a composer and arranger for the Elmer Iseler Singers, the Toronto Mendelssohn Choir, Sharon, Lois and Bram, the Toronto Children’s Chorus, True North Brass and the Hannaford Street Silver Band. This has resulted in the recording of his compositions and arrangements on many record labels and performances worldwide. His work in musical theatre has led to notable collaborations. On Broadway, he arranged for Richard Rodgers, Meredith Willson and Frank Loesser. In the entertainment world, he has conducted for Ella Fitzgerald, Tony Bennett, Peggy Lee, Bob Hope, Victor Borge and Danny Kaye. In Canada, his theatrical credits include appearances as guest conductor at the Banff and Shaw festivals and he has provided numerous scores for the Charlottetown Festival. His 20-year association with the Canadian Brass has resulted in his writing over 80 compositions and arrangements. He has arranged for the Canadian Brass collaboration with the Mormon Tabernacle Choir as well as their Lincoln Center concerts with the New York Philharmonic Brass. 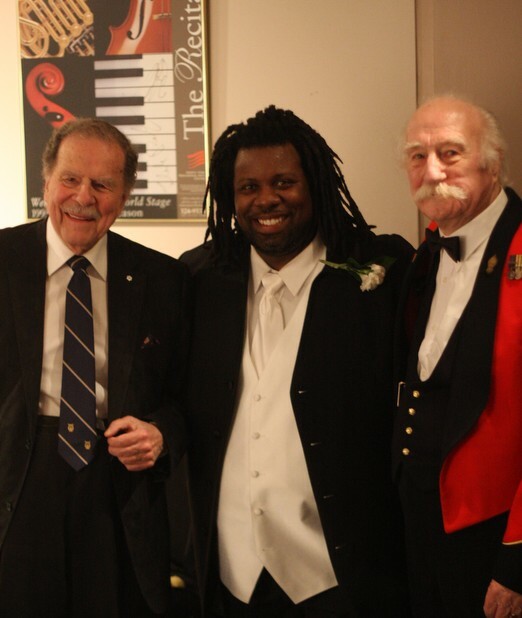 The Toronto Youth Wind Orchestra is proud and privileged to have had a close association with this Canadian icon as Honorary Patron of our organization. Born in Edinburgh, Scotland, Bobby started his musical career with the Newtongrange Silver Band, the Dalkeith Burgh Band and the City of Edinburgh Band. He received his formal musical education at The Royal Military School of Music (Kneller Hall), Royal College of Music and Royal Academy of Music and served in the Regimental Bands of The Royal Dragoons and Royal Horse Guards. In 1957, Bobby joined the Royal Canadian Air Force where he served in Edmonton’s Tactical Air Command Band and in Ottawa’s RCAF Central Band. In 1960 he was transferred to the NORAD Band in Colorado Springs. After leaving the Forces in 1966, Bobby performed in Vancouver as a freelance musician and lectured at UBC’s School of Music. Always in demand as a conductor, adjudicator, clinician, music arranger and renowned trumpet soloist, Bobby continued his successful musical career throughout Canada and the U.S. Moving to Toronto in the early 1970’s, Bobby performed with Howard Cable, Rob McConnell, Guido Basso, Dave Woods and many other well known Canadian bandleaders. He led his own popular dance band and became Director of Music for the 7th Regiment, Royal Canadian Artillery Band. Bobby retired from the Canadian Forces in the rank of Lieutenant-Colonel. Bobby is the past President of the Toronto Musicians’ Association and conductor of the Greater Toronto Area Teachers Wind Ensemble. 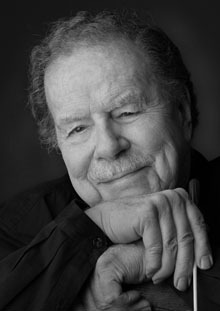 He serves as an advisor to Canadian performing arts agencies and is the recipient of many national and international music awards, including the Canadian Band Association National Band Award, recognizing his significant contributions to music, music education and the business of music. Respected and loved as arranger, composer, conductor and performer; loved a little less for his wicked sense of humour, the Toronto Youth Wind Orchestra extends a warm welcome to Maestro Bobby Herriot. TYWO has shared the stage with this outstanding ensemble twice in recent years, and we are thrilled to count them as part of our Honorary Patrons. 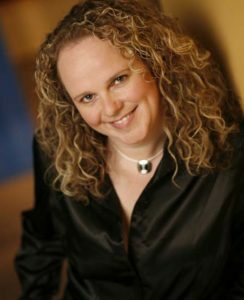 Heather Bambrick, winner of the 2004 National Jazz Award for Vocalist of the Year, is in demand as a performer, educator, and broadcaster. The native Newfoundlander is a graduate of the University of Toronto Faculty of Music, and is currently on faculty both at U of T and Humber College. She has performed with international Jazz artists, including Phil Nimmons, Kenny Wheeler, Guido Basso, Darmon Meader, Peter Appleyard, John Lamb, and Rob McConnell. Heather has recorded with numerous acts, including the Royal Jelly Orchestra, Carol Welsman, the Caliban Quartet, and The Beehive Singers. Her own debut CD It’s About Time (2003) was nominated for Best Jazz Recording at the 2004 East Coast Music Awards and is enjoying international praise and radio airplay. Her follow-up recording Those Were The Days is has also been nominated for Best Jazz Recording at the 2007 East Coast Music Awards. She will be featured as a guest vocalist (along with theatre great Rudy Webb) on an upcoming release featuring the music of Irving Berlin and award winning actor, musician, and songwriter Irving Dobbs. On stage, Heather is a consummate entertainer, performing for standing room only crowds at venues across Canada and in the US and bringing audiences to their feet at some of the country’s most prestigious music festivals. Her live shows are a combination of timeless songs, brilliant musicianship, and Heather’s unique sense of humour – all adding up to pure entertainment. Heather’s voice has been heard throughout North America on radio and television commercials, as well as on film and television soundtracks. Since 2001, Heather has firmly entrenched herself in the world of broadcasting, hosting the highly popular “Sunday Afternoon Jazz”, on Canada’s only all-Jazz radio station, Jazz FM91. Heather was honoured with Broadcaster of the Year awards at both the 2005 and 2007 National Jazz Awards.